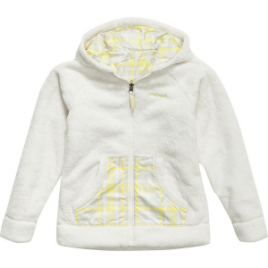 The Marmot Girls’ Snow Fall Reversible Jacket is sure to be her favorite this winter. The plaid side protects her from poor weather, while the reversible raschel fleece offers a warm, soft feel. She can sport the solid fleece side if plaid isn’t really her taste that day.